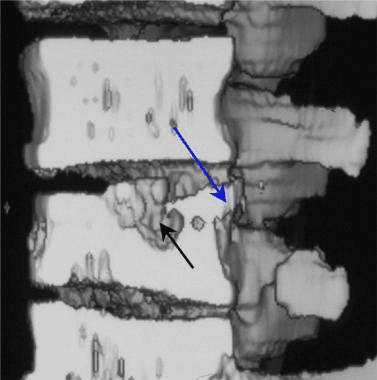 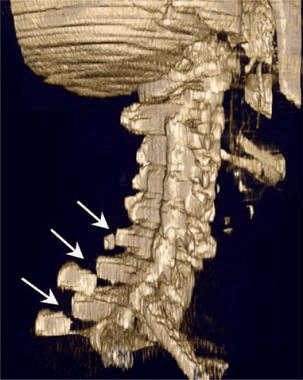 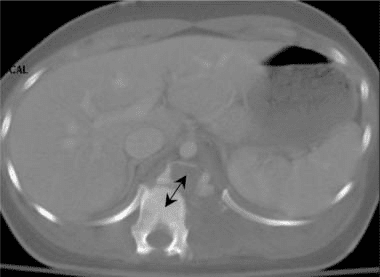 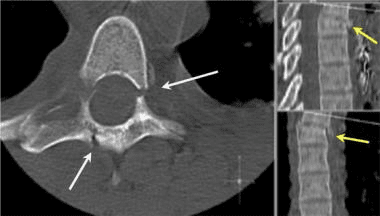 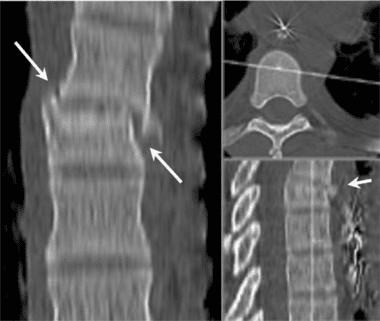 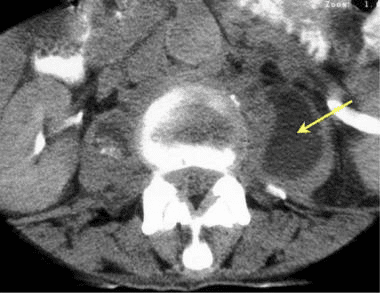 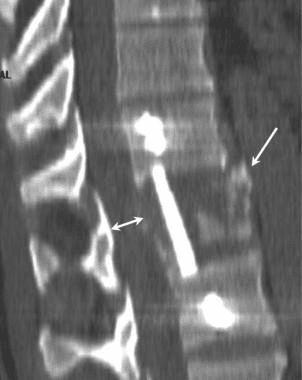 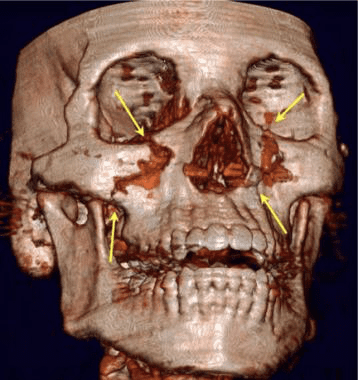 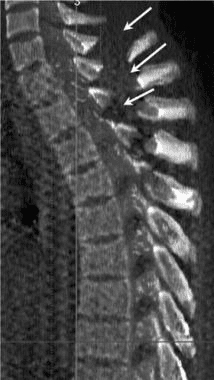 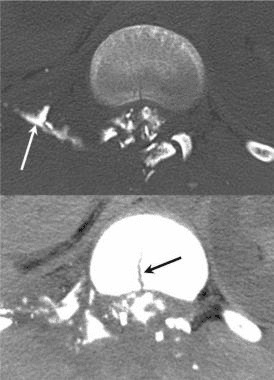 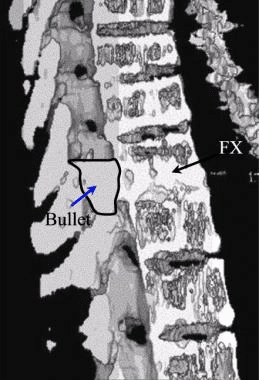 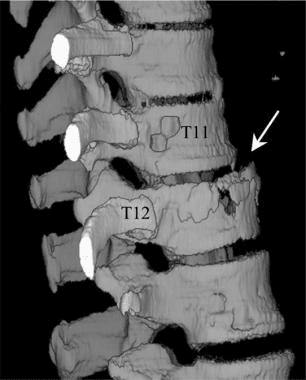 Figure 20: Sagittal shaded-surface 3-dimensional reconstruction CT scan of the lower thoracic spine. 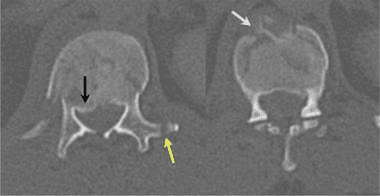 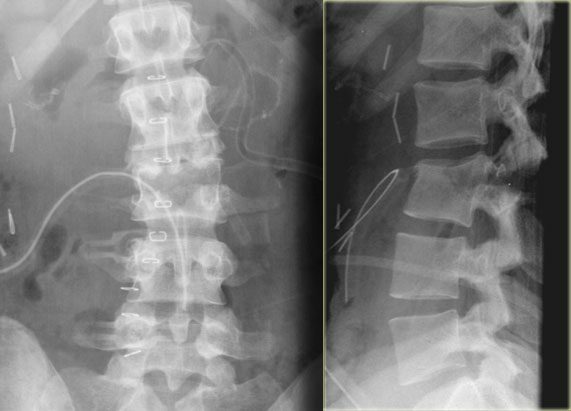 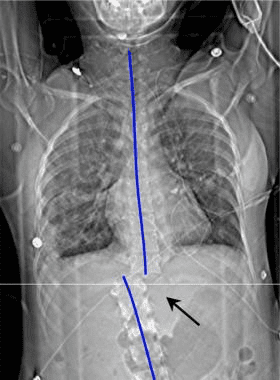 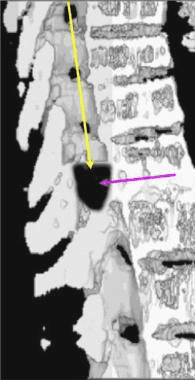 The spinal image has been cut in the midsagittal plane to demonstrate posterior displacement of the thoracic spinal vertebral body (arrow) and downward displacement of the superior endplate. 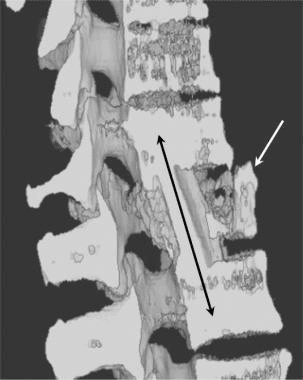 Note the general wedge shape of the vertebral body.